Thank you so much for creating this web site, it is so much better than the travel books. You already helped me a lot with your suggestions on which other islands to combine with our trip to Crete and how to get to Peloponnese from Crete. 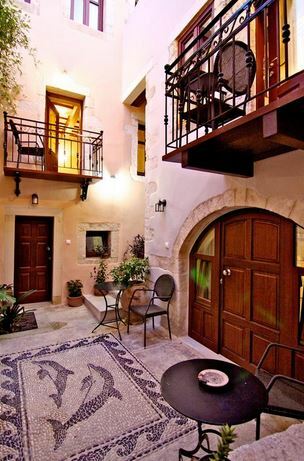 I am still figuring out where we will go after Crete, but want to plan our time on Crete so that I can make reservations for the car and rooms. 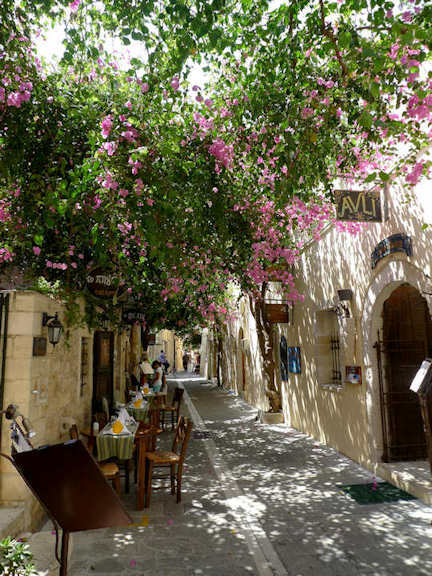 We will be in Greece for 19 days and would like to dedicate a significant part of that time to Crete, I was thinking about 12-14 days, but we are very flexible. We love beaches (swimming), old towns and villages that are real and where we can meet the locals, nature (preferably places that are green/have trees rather than bare). We don't like resorts, organized beaches, party towns, etc, we want to explore Crete, there are plenty of beach resorts and bars closer to home J. We also would like to avoid crowds and places overrun with tourists that no longer feel real. 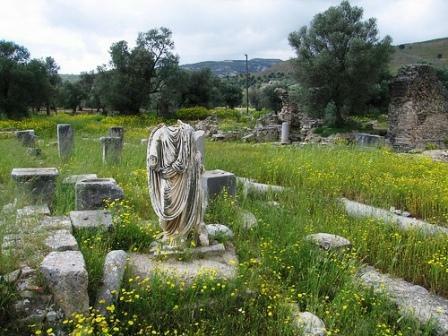 Our favorite memory of Greece is a white sand beach on Naxos with a tavern and just a few people and the amazing historical sites at Meteora, Delphi and on the Peloponnese. I am trying to build an itinerary where we do an lot of different things exploring towns, historical sites, hiking a bit, hopefully swim every day/most days, try to stay at a fewer places rather than move every day to feel “rooted” and try to break up the trip to avoid very lengthy drives. I would love to get your advice on the itinerary that will meet these goals and on the places to stay. For accommodations, we have a family of 4 with 2 boys, 22 and 17 years old, we would like to stay at apartments/rooms/houses that are simple, not expensive, with nice owners, have at least 2 rooms with beds and a kitchen/kitchenette, and are quiet, character is always great. We would prefer to be close to the beach in most cases so that we can walk and swim in the morning before going on day trips and walk/drive to town in the evening to eat and stroll. 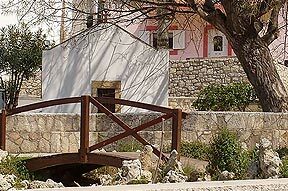 This is not set in stone, it will be fun to stay in an old town/village to get a different experience. 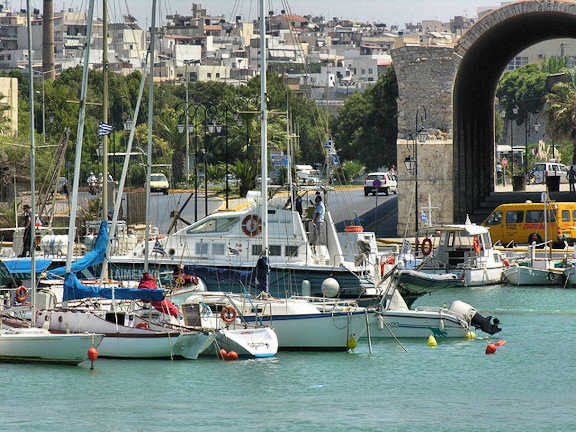 We are flying into Heraklion on June 11, landing at 11 pm. I did not want to stay at Heraklion but given how late the flight is, we probably do not have a choice as it will be too late to rent a car and drive around midnight. What do you think and where do you recommend to stay? 3. 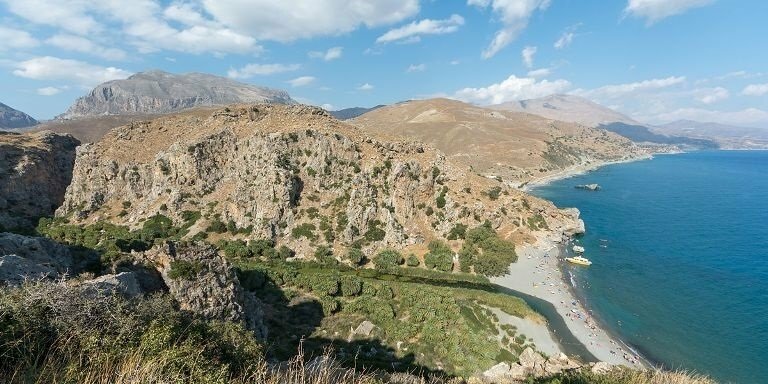 Staying for a while at Chania ideally on or very close to the beach and close to town and driving to Falasarna, Elafonisi, taking the boat trip to Balos Lagoon and Gramvousa islet, hike either Samaria or Imbros or Agia Irini Gorge (which one do you recommend for beauty and less people? ), what else? 5. 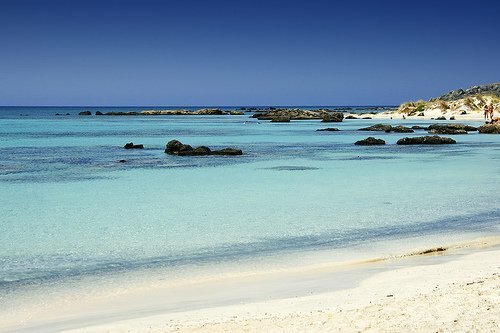 I wasn’t sure if we should go to the eastern Crete and how much time to spend there vs. west and south, I am not looking to cover all of Crete, just would like to experience the most beautiful, unique, memorable and authentic places. If we go east, I was thinking about skipping Agios Nikolaos and around because of crowds and staying at Palekastro and driving to Vai beach, and Kato Zakros. 7. Also, where is Agia Fotini? I saw it on your web site, but could not find it on the map. Most likely we will be going to Milos and/or Sifnos from Crete, we are flying out of Athens on Jul 1. Do you have advice on how to figure out the approximate ferry schedule so that I can reserve the accommodation? I am very sorry for such a long, long email and so many questions, but I wanted to share my thoughts so that you could give us the best advice. Thank you so, so much! Your help is hugely appreciated. Thank you for your kind words about our site and we are glad you are finding it a good resource for your holidays to Crete. You have a lovely trip planned and we are happy to offer some suggestions below. 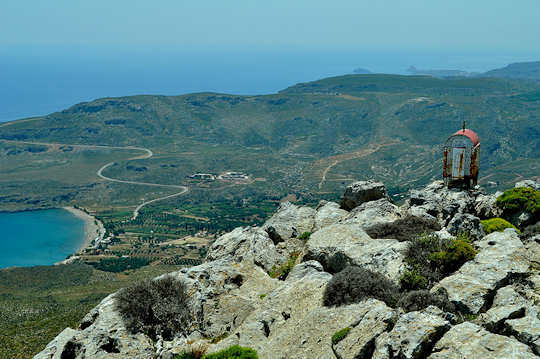 In 12-14 days you can certainly see both the west and the east of the island of Crete. 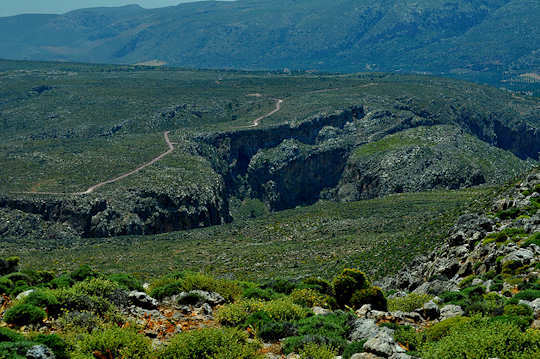 We can suggest choosing a central place in the west for half the visit and another central in the east for the second half of your visit, and as you mentioned, taking day trips to explore the island with a car. 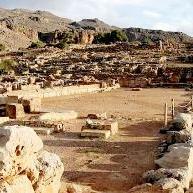 In the west, your good central point would be the town of Rethymnon, in the old town. You could choose to stay within the walls of the old town in a guesthouse or in a private home stay in the nearby countryside. We have included both options for you below. 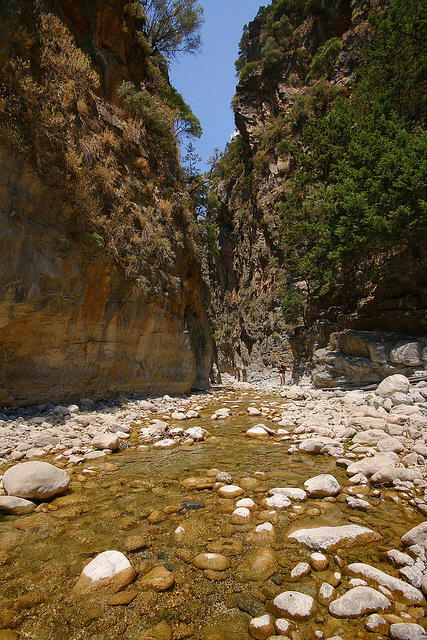 In the east we have chosen Kato Zakros which is not all that central, however you will see the real Crete away from crowds. We have written an itinerary for 6 days in each, totaling 12 days so you can add days as you like. #4 Sougia and Loutro are accessible by ferry, your time limit does not allow a visit along the south west cost by ferry. To do this one would need to take buses or taxis from the departure and arrival points of the ferries. To best see this area would need at least 3 days. Instead we have included some of the southern beaches in the itinerary below. 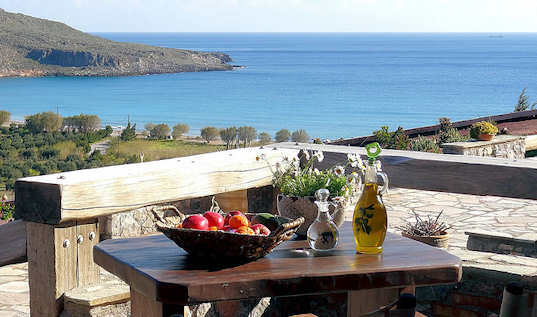 #5 We agree that it is not imperative to visit eastern Crete, however if you do you will experience a much quieter, more rustic and authentic island life. 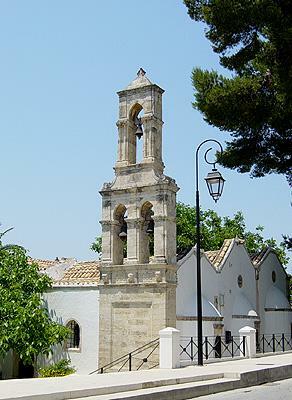 Kato Zakros is especially beautiful from the towns you have mentioned, we think you will like it. #6 Chrissi island is unique and very different, a boat trip from Ierapetra could be possible but it is quite a drive from Kato Zakros, consider fitting this in on your return and staying at a beach near Ierapetra. 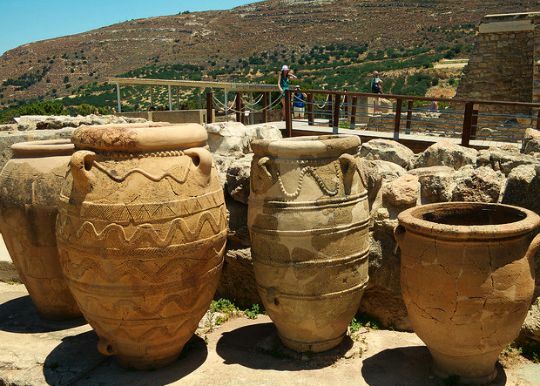 Holidays to Crete - Tip - the best place to check about the opening days and times of the Heraklion Archaeological Museum is the Odysseus website, which is the government cultural website. Also check with your hotel prior to heading off for the day, as you want to be sure. We have chosen Terra Minoika in Kato Zakros for your accommodation in eastern Crete because the owners Stella and Elias have a wealth of knowledge of the region and will certainly make you feel very welcome - the buildings of traditional stone and wood will give you a true feeling of the locality, for unforgettable holidays to Crete.